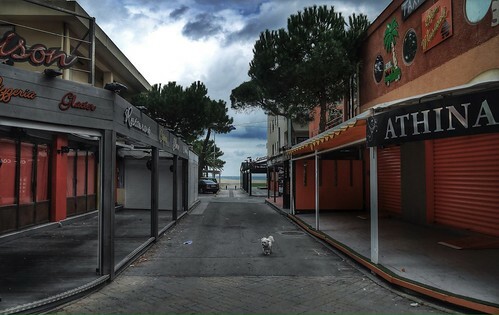 The summer shopping street with all the shops and restaurants is closed after the season at the beach in Argeles Sur mer. The little dog - out there walking quite alone - seems to be a leftover dog in search for all the fun that was there in the summer. 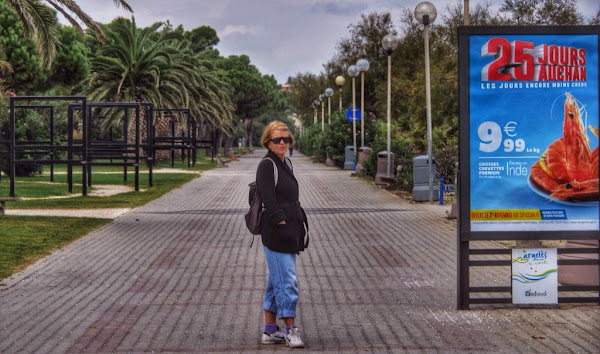 The madam alone along the summer promenade at Argeleas Beach in Ocotber.